Lowest Rates and Hassle-Free Experience for Purchases and Refinances. Let us prove that obtaining a mortgage can be affordable and easy. We provide custom loan solutions tailored to your needs at the lowest available rate while providing a comfortable, stress-free, and easy experience. Locally owned and operated in Denver for over 15 years, A Better Choice Mortgage is the premier mortgage team in Colorado. We pride ourselves on offering the lowest rates in the industry and have streamlined the loan process to be as simple, fast, and straightforward as possible for all borrowers. Application to the closing table in as little as 14 days. Buying or Refinancing? We have a solution for you. As a wholesale mortgage broker with multiple lending partners, we have a wide variety of purchase loan options with industry-leading rates. We offer fixed rates, adjustable rates, and repayment terms from 10-30 years. Let us tailor a program that’s right for you. We offer truly flexible down payment terms. Think you haven’t saved enough for a down payment? We have programs that require as little as 1-3% for a down payment. Want to buy a house for as little as $1000? Call our team and find out how. We track refinance rates across multiple lenders daily to make sure you get the absolute lowest rate possible. If you’re looking to eliminate mortgage insurance, consolidate debt, or shorten your repayment term, call us for a quote. Our rates are simply the best. Our loan programs include FHA, VA, and USDA products. Our government program rates are also the lowest in the industry. Our FHA programs are a great fit for first-time homebuyers. We’re proud to offer a full product suite of VA loans in support of our military veterans. Connect with our team about our Jumbo VA program, which offers incredibly low rates for large VA loan amounts. As a small, local wholesale mortgage broker, A Better Choice Mortgage, provides Colorado homeowners the lowest possible rates and fees. We do this by keeping our overhead low and passing the savings onto our clients. We offer a wholesale rate, unlike the inflated, retail rates you’ll find with big banks. We are only licensed in Colorado and only help Colorado homeowners. With over 15 years of experience, we offer our clients unprecedented expertise and local knowledge. Our unique service delivers every client a personalized mortgage experience. We are passionate about educating our clients, tailoring unique solutions, and delivering unbeatable rates. From loan application to the closing table, we are available to our clients at their convenience. With clear and frequent communication, we regularly close loans in under 30 days– sometimes as quick as 14 days. 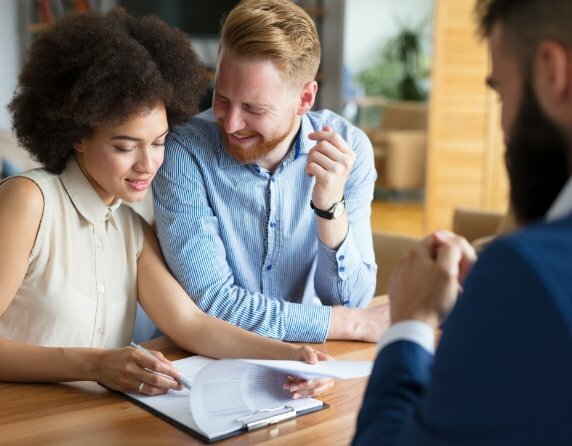 Our clients include seasoned real estate investors, first time homebuyers, experienced homeowners upgrading to their next home, and vacation homebuyers. We have solutions to match every need. All of our loan officers are licensed, experienced mortgage professionals. We enjoy the loan origination process and assisting our clients with what can be the most important financial decision of their lives. We are mortgage experts with a strong knowledge of underwriting guidelines. Knowing these guidelines allows us to recommend and deliver loan programs that we know will be successful and practical for our clients. Want to know the current rates? Not sure which loan program is right for you? Connect with our team today; we’re happy to provide you recommendations.